The assembly formed by the styloid process, stylohyoid ligament and the lesser horn of the hyoid bone, corresponds to the stylohyoid complex, which have their embryonic origin in the cartilage of the second pharyngeal arch or hyoid arch (Reichert cartilage). With the intrauterine development, the central part of the cartilage of Reichert is resorbed, leaving a cranial part (styloid process) and a caudal part (lesser horn of the hyoid); from the third month of intrauterine life, it differentiates in five parts: tympanohyal, stylohyal, ceratohyal and basohyal. Besides, said cartilage also calcifies in two parts: the proximal (tympanohyal) and distal (stylohyal). The first part is completed at birth, and the second in the late teens. The tympanohyal and stylohyal cartilages form the styloid process. The bony prominence known as styloid process is a thin, long and cylindrical bone projection from the lower surface of the temporal bone, from the junction of the petrous and tympanic parts below the external auditory meatus and just anterior to the mastoid process, measuring 2 to 2.5 cm. It is normally located between the internal and external carotid arteries and it is connected to three muscles (stylopharyngeus, stylohyoid and styloglossus) and two ligaments (stylohyoid and stylomandibular). Vital anatomic structures are located neighboring the stylohyoid complex. Medially, the internal carotid artery, internal jugular vein and accessory, glossopharyngeal, hypoglossal and vagus nerves. Medial to the tip of the process is located the superior pharyngeal constrictor muscle and the pharyngeal-basilar fascia, adjacent to the tonsillar fossa. Laterally the external carotid artery, then the facial nerve emerging from the stylomastoid foramen, and passing through the parotid gland[1-3]. 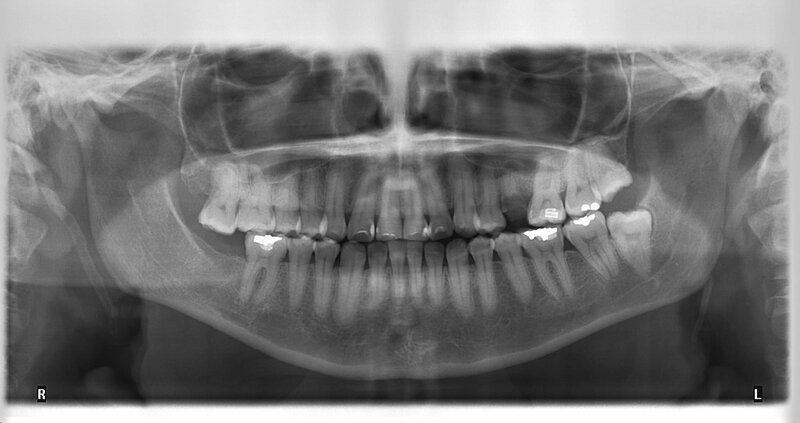 In cases where the styloid processes are elongated, they can be observed through X-ray examinations, such as lateral and Antero-posterior skull radiographs and the panoramic radiograph, being this one the most used. Eagle in 1937 affirms that the normal length of the styloid process is approximately 25 mm, therefore, any length over that size would be considered elongated. However, some authors consider the styloid process elongated if the length is greater than 30 mm. With the realization of a population study, which seeks to describe the radiographic prevalence of elongation and calcification of the stylohyoid complex in individuals who attend an oral radiology center at Cartagena, Colombia during 2015, 5 major cases of radiographic diagnoses are observed, determining a characteristic pattern of elongation of the styloid process. Studies confirm that the prevalence of an elongated styloid process has great variability in the population. 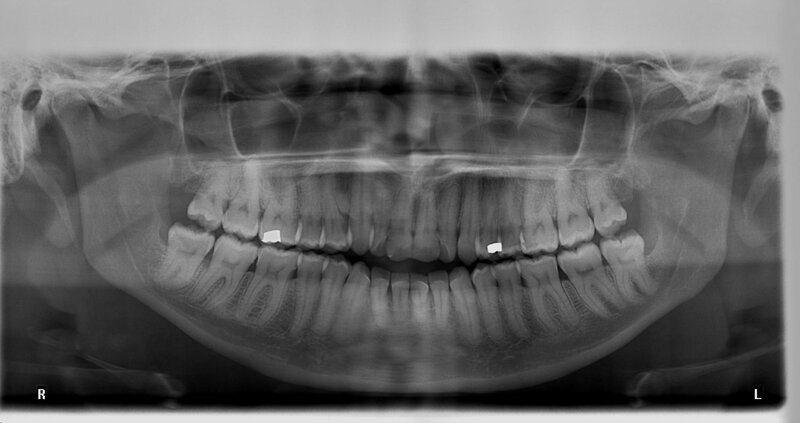 It is estimated that the styloid process measures from 2 to 3 cm in length. Eagle, in his original publication, found the styloid process elongated in 4% of cases. Furthermore, it has been shown that female patients are most commonly affected, corresponding to 85% of all reported cases; and the age group in which most commonly occurs is between the second and third decade of life. Similarly it is noted that between 4% and 28% of the population has elongated styloid processes, and of these, 4% show painful symptoms. When scanning laterality, the findings indicate that it is more common to find bilateral elongation (right and left), with a greater length on the right side. 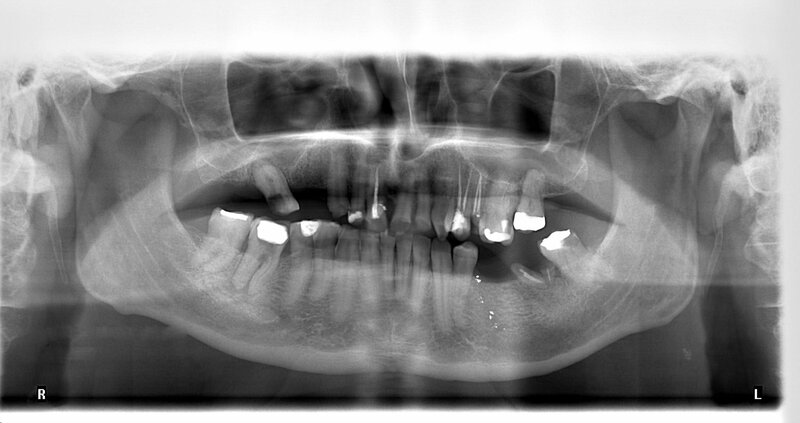 Elongated styloid processes can be observed through X-ray examinations, such as lateral radiographs and posterior- anterior skull radiographs, however Whaites defines the panoramic radiograph as the most used for radiographic diagnosis of the syndrome, as it is an easily made test. The normal size of the styloid process may vary considerably, with reports in the literature indicating lengths from 15 mm to 40 mm. Nevertheless, Eagle affirms that the normal length of the styloid process is approximately 25 mm, therefore any length superior to this could be considered as elongated. 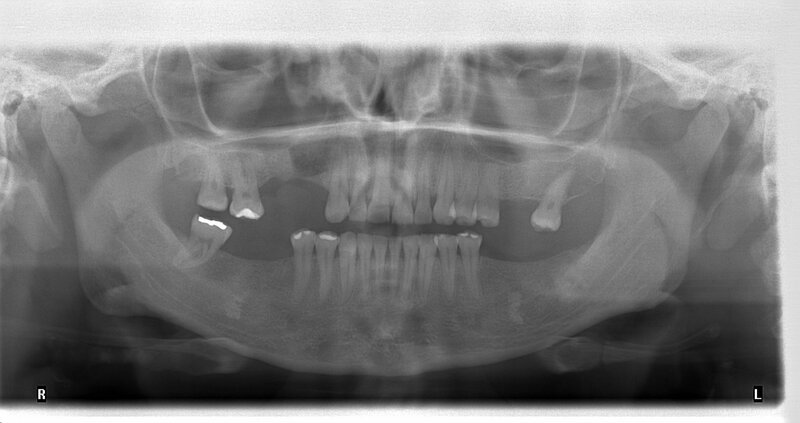 However, some authors consider the styloid process as elongated if its length is greater than 30 mm. Zeckler et al, establishes the importance of using a 3D CT scan of the cervical region to demonstrate the styloid process’ elongation; Based on the epidemiology it is known that there is a female to male ratio of 3:1, and usually it affects patients aged between 30 and 50 years old. There is limited clinical epidemiological evidence regarding the specificity, sensitivity and predictive values of the particular symptoms suggesting the presence of a clinical syndrome or symptomatic clinical picture. Regarding radiographic analysis, in dental practice are emphasized in the inspection of exclusive structures of the oral cavity, which impedes the detection of aspects that could be relevant in achieving a complete diagnosis of pathologies involving the head and neck. The conducted investigations are varied and made in different places; however, few investigations are documented in the Colombian population so that there is a high degree of ignorance of the condition and diseases associated with elongated processes in our society. We are grateful to the university of Cartagena and Coides oral radiology center for their cooperation. 1. Buchaim, R.L., Buchaim, D.V., Shinohara, A.L., et.al. Anatomical, Clinical and Radiographic Characteristics of Styloid Syndrome (Eagle Syndrome): a Case Report. 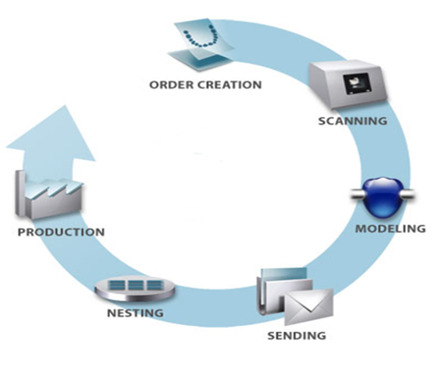 (2012) Int J MorphoL 30(2): 701-704. 2. Kar, I.B., Mishra, N., Raut, S., et al. Facial pain due to elongated styloid process. (2013) Contemp Clin Dent 4(2): 248-250. 3. Andrei, F., Motoc, A., Didilescu, A., et al. A 3D cone beam computed tomography study of the styloid process of the temporal bone. (2013) Folia Morphol (Warsz) 72(1): 29-35. 4. Soldati, A.B., Miguelote, C., Quero, C., et al. Eagle’ssyndrome. (2013) Arq Neuropsiquiatr 71(4): 265-266. 5. Machado, K., Almeida, C., Aranha, P., et al. 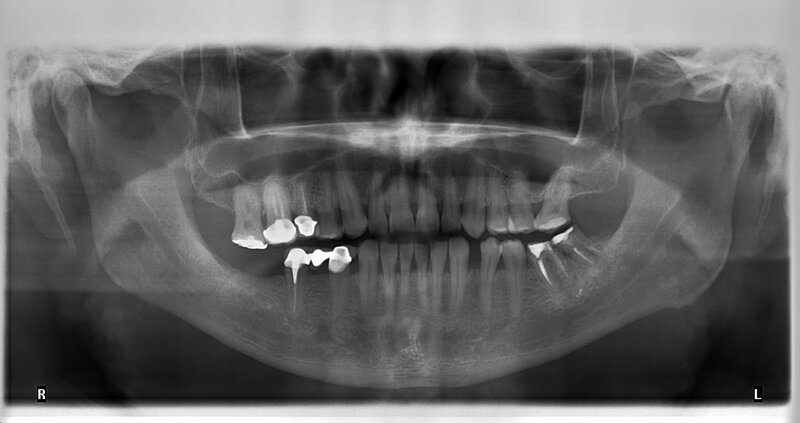 Styloid Process Elongation and Calcification in Subjects with TMD: Clinical and Radiographic Aspects. (2012) Braz Dent J 23(4): 443-450. 6. Fatma, I.U., Zorlu, Y., ÖCEK, L., et al., Eagle syndrome: case report. (2013) N?SAN 25(2): 87-89. 7. Sharon- Rose, Z., Ariel, G.B., Gal Y. The eagle is landing: Eagle syndrome — an important differential diagnosis. (2012) Br J Gen Pract 62(602): 501-502.